At work, in my department, we skipped a year or two of celebrating birthdays. That made me sad. So, I took it upon myself to resurrect the whole birthday scene. I promised to make one tasteful, personalized banner for each birthday person. Nearly everything that I've made so far has been from supplies I already had on-hand (scrapbook paper, tissue paper, tree branches, etc), so it didn't break my budget. I just think that birthdays are worth celebrating with something lovely. Since I've been working my way through different designs for this past year, I thought it would be fun to share a few of them to perhaps inspire you for your next celebration. 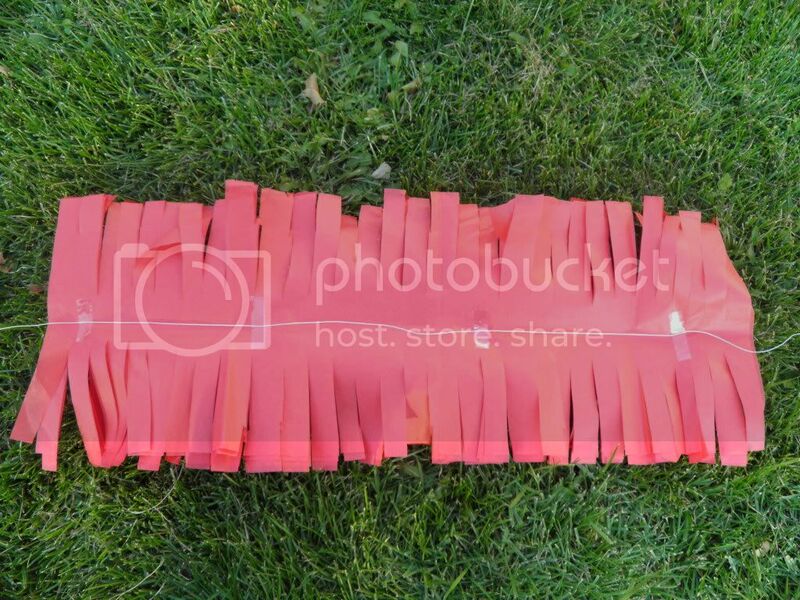 I'll begin with one of the simplest banners, cut from tissue paper. 1. 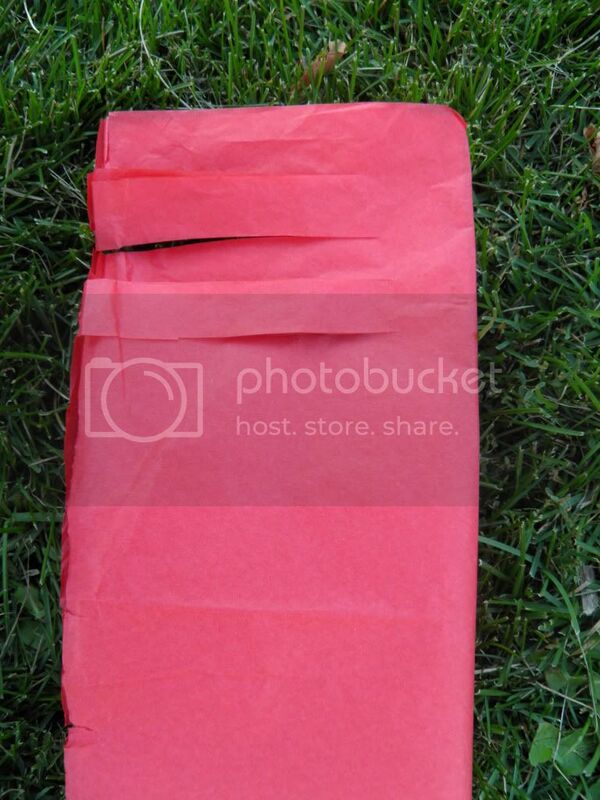 Fold about 3-4 sheets of tissue paper in half. Then, fold in half again. 2. Cut along the folds on the side with open ends. 3. Using the side with the open ends, cut slits about halfway up every 1/2-inch to inch or so. They don't need to be equal. This will give the banner a fringe-ish look. 4. 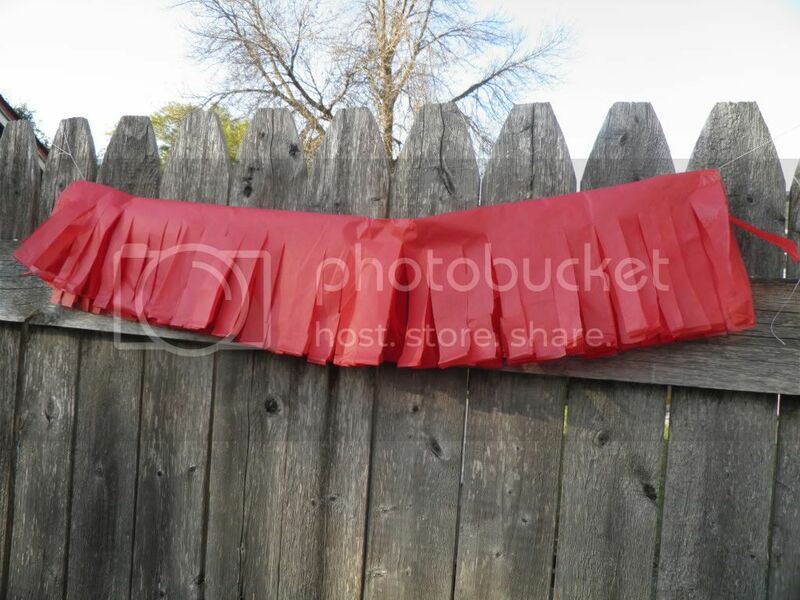 Now, open the banner at the center and attach a length of string right down the middle with tape. 5. Flip back over and you're finished. 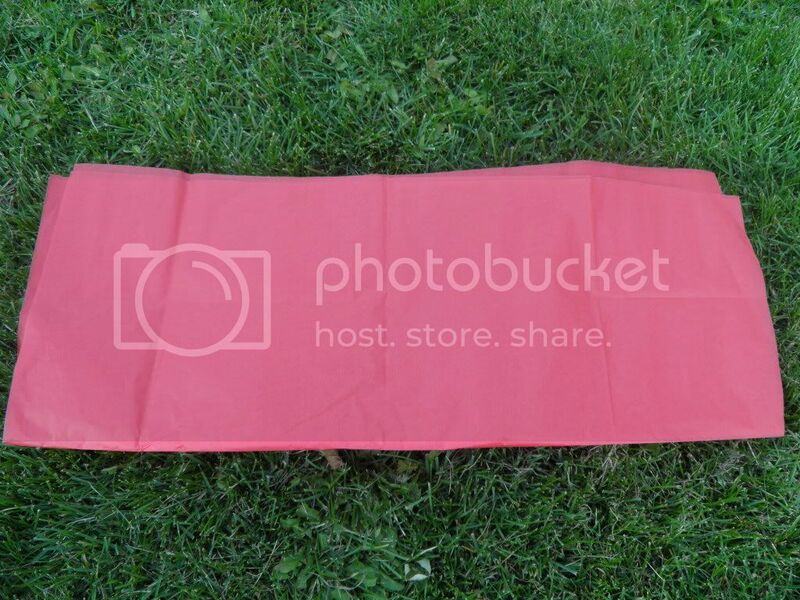 Use the ends of the string to attach your banner any way you wish. 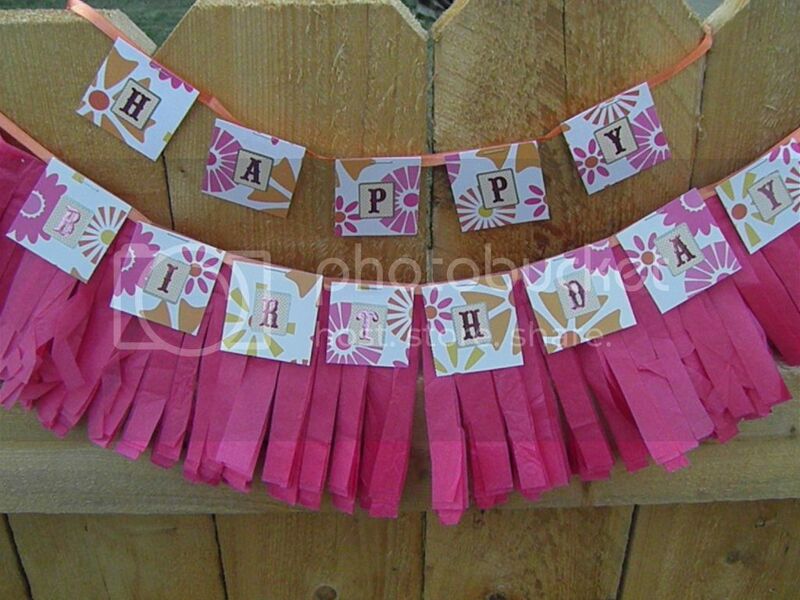 Use some coordinating scrapbook paper cut into 3" x 3" squares and some alphabet stickers to create the "Happy Birthday." 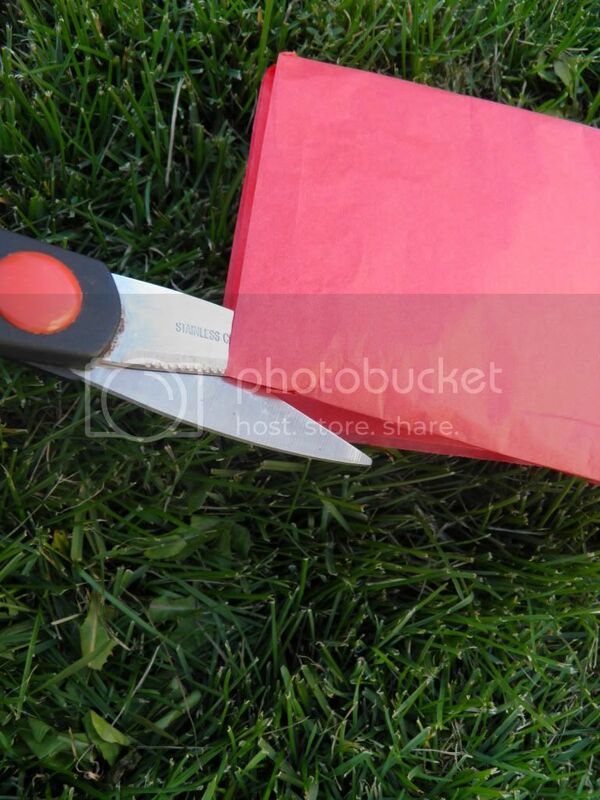 Staple the squares to a coordinating length of ribbon. 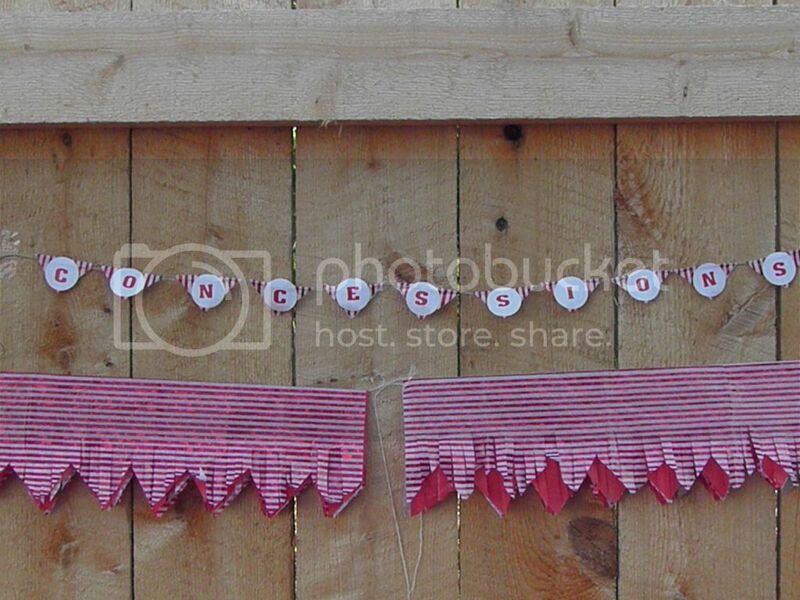 I used this same technique for the Concessions banner, except I cut a zig-zags along the end of the tissue paper before I cut the fringe. Feel free to play around with this design. These banners would be especially festive for a Hawaiian-themed party. There's more where that came from. I have some map banners, tassels and driftwood designs up my sleeve. Stay tuned! *Hey, did anyone notice we got a new fence in the middle of this project? Hee hee!